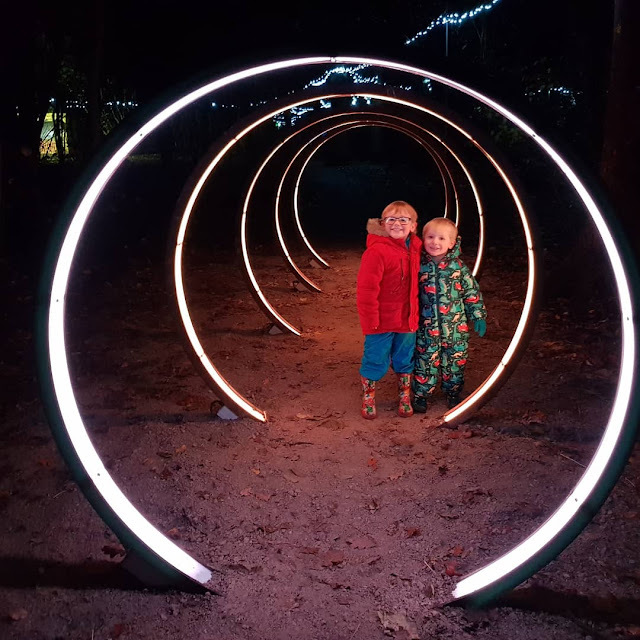 The Christmas Experience at Lotherton Hall is officially open, which means families and friends from across the country can get their Christmas-on before the big day. 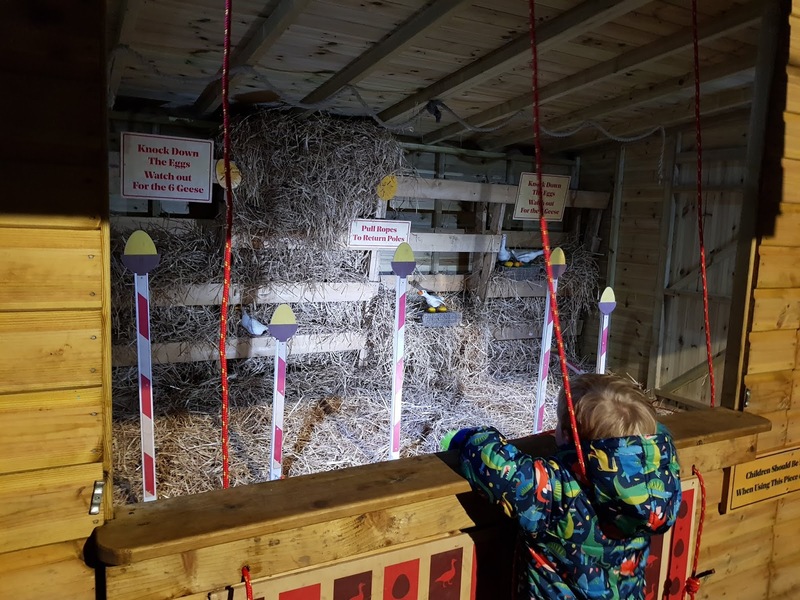 From taking a trip to see Santa and getting creative in the Elf Village, through to learning all about the history of the historic hall and walking through the woods to interact with the 12 days of Christmas. 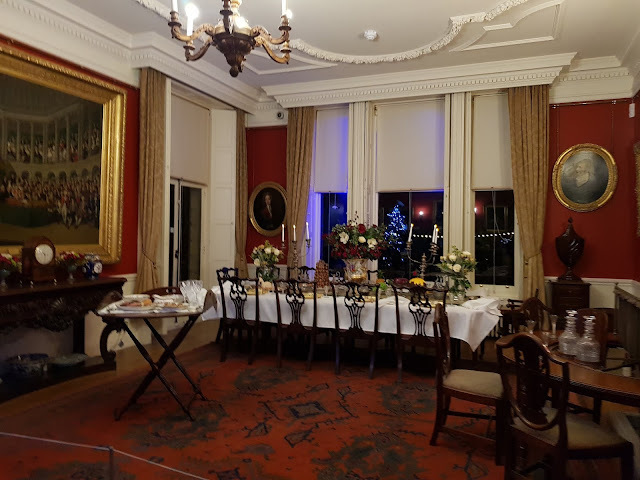 I was lucky enough to get a sneak-peak of the Christmas Experience at Lotherton Hall this week before it opens. So i want to share with you an idea of what you can expect and give my advice on how to make the most out of your visit in the coming weeks. The twelve days woodland walk is a twenty minute walk around the grounds of Lotherton Hall. Walking through the trail you are encouraged to stop and interact with twelve stations along the path. Each station is dedicated to a number in the famous twelve days of Christmas song. I don't want to give them all away as i believe that the mystery of what is around the corner is a part of the magic. My favourite stations are the Geese Laying and the Drummers Drumming. 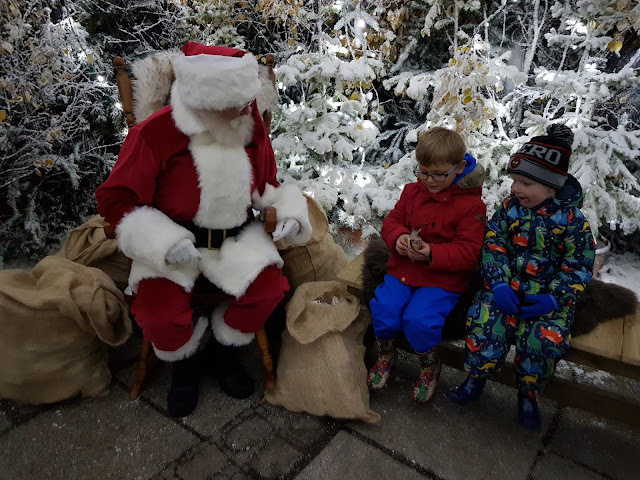 If you are looking to take your children to see Santa then you won;t find many better places to do so than Santa's North Pole at Lotherton Hall. The staging and themes are incredible, it is like walking in to Lapland; looking and smelling christmasy. 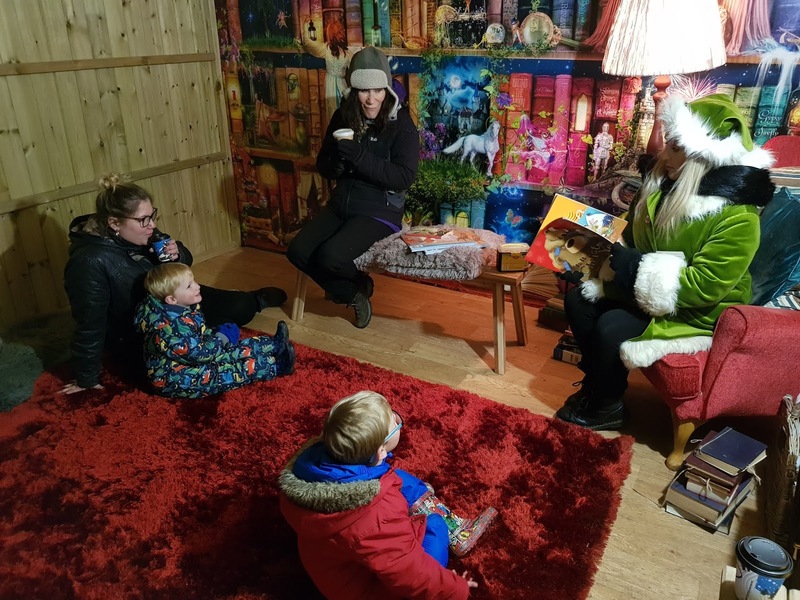 The staff are dressed as elves and interact with the kids along the way, making jokes, singing and offering out festive fun. 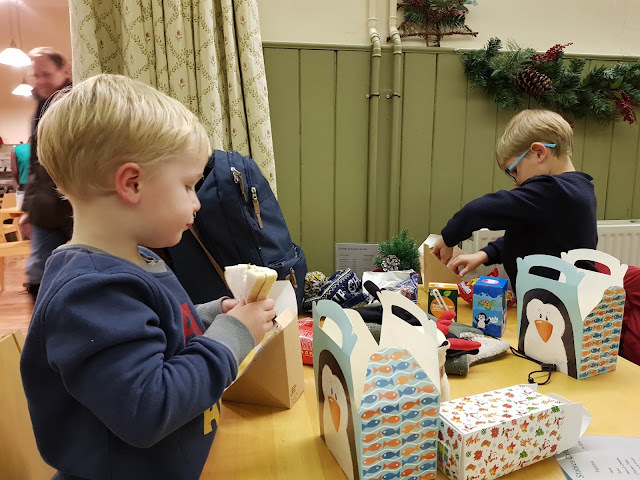 Everyone also gets the chance to create their own reindeer food in the Elf's workshop. If you are wanting to visit Santa please make sure you book and show-up well before you time-slot. Your little ones will be happy to know that they do receive a gift from Santa upon their visit :). 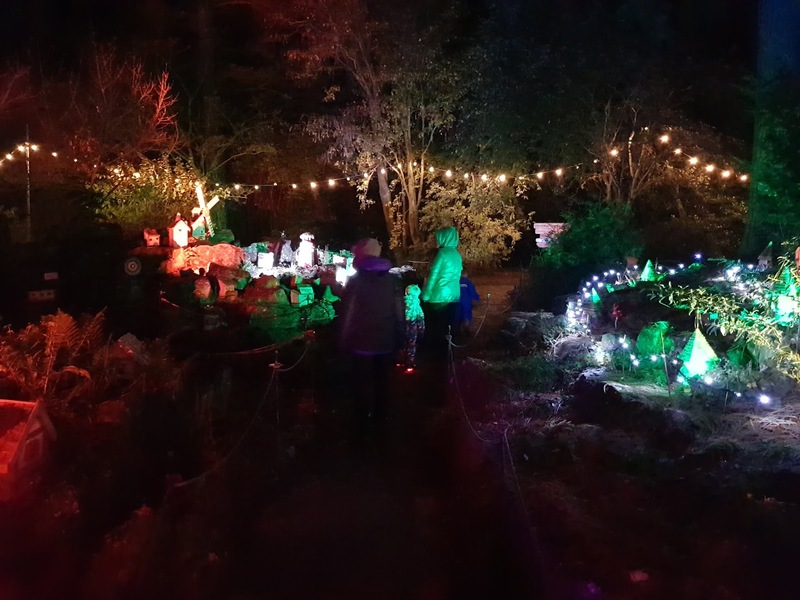 One of the main attractions is the Elf Village, which is closest to the entrance. The village houses a number of log cabins, each one dedicated to a different craft or entertainment. 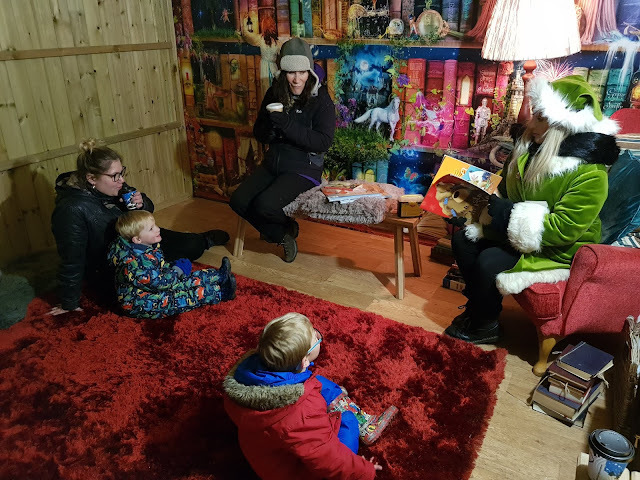 From story-time to relaxing under the canopy, through to plate and Christmas decoration making, there will be something for everyone to attempt. I recommend leaving the creation of the decorations until the end. I say this is because you will have to transport them around with you and some of them will be covered in wet paint. Each attraction within the village needs to be paid with tokens you can buy within the village store. You can buy six tokens for ten pounds. Explore a village of fairies and their homes. 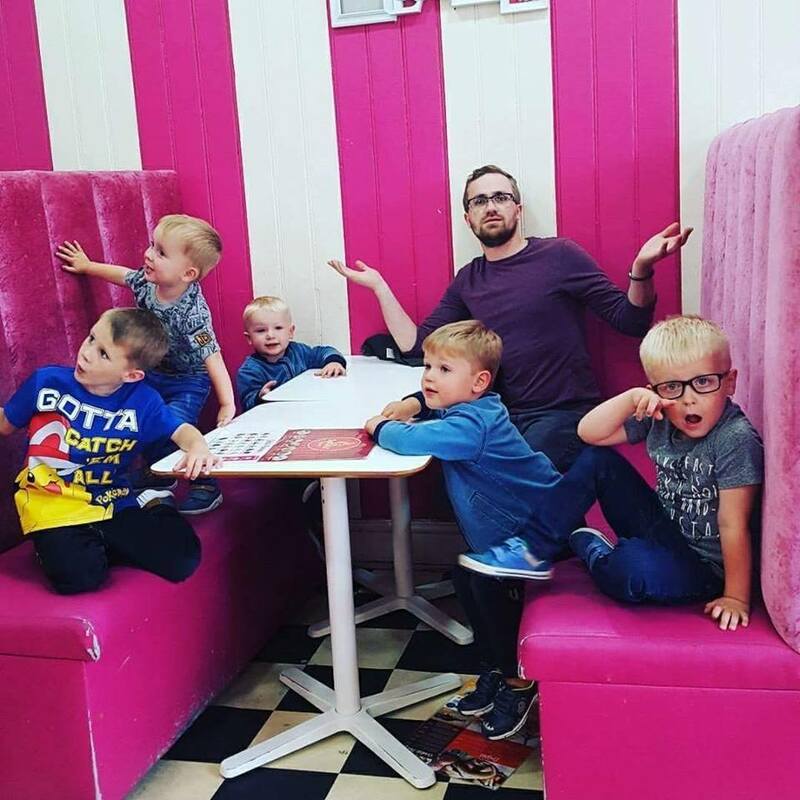 Each one unique, offering lots to see for your little ones. Keep an eyes-out for some of the most comical houses and stores. Just a note that on this attraction it is not suitable for wheelchairs or pushchairs as there are some steps. Is a beautiful Edwardian country hall and estate set on the outskirts of Leeds. Lotherton houses an expansive collection of artefacts, furniture and artworks in a traditional Edwardian country hall. See what life was like in Edwardian times, visit the historic stables and marvel at the carriage displays. 2019 celebrates 50 years of Lotherton as a museum, with a packed calendar of events, exhibitions and more, it’s going to be a year to remember. In the house, children can explore the special curiosity cabinets throughout the hall, play on the Gascoignes Abroad interactive and step back in time in our Edwardian dressing up room. Please be aware the no bags or buggies are allowed inside the hall so you will need to prepared to lock your bags away in lockers. Ensure you have a pound to do this! It is also worth mentioning that you will be asked to place shoe covers on your shoes to protect the floor from and scuffs and mud. You can stop for a bite to eat in the Christmas Court Yard. They offer hot and cold food, as well as a good range of drinks and snacks. The prices are reasonable and the food is good quality compared to similar experiences. Within the court yard there is toilets, baby changing ,wreath making and a shop. Driving to Lotherton Hall is easy, as it is only a couple of minutes drive from the A1 M. Close-by to Leeds and York, is makes it easy for those living close-by to easily find the estate. The car parks are located on the estate and parking can be paid for on the drive-in. There is an attended booth in which you can purchase the parking from. I would check to see if your parking is included within the ticket price. If you are visiting the Christmas Experience you will be happy to know that most of the attractions can be reached with a wheelchair or buggy. The Fairy Dell is the only attractions that is not accessible. The paths and tracks are great for most four wheeled chairs. If you have any queries about access to additional needs, i recommend contacting them before you visit / book. 90% of the attractions are based outside and as such i would recommend wearing warm winter clothing and be prepared for rainy conditions. Even though you will be on paths and the trail if can still get muddy so consider wearing wellies and water-proof shoes.